For many, the possibility of seeing the Northern Lights is the reason for visiting Iceland in winter. 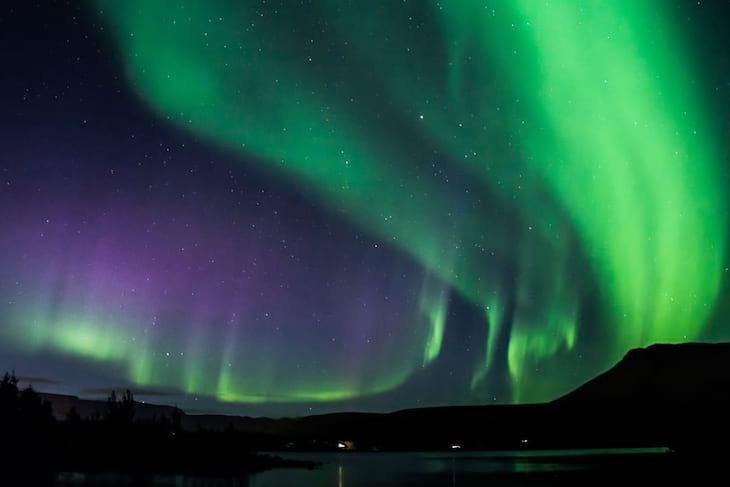 The Auroras are both wonderfully mysterious and magical. 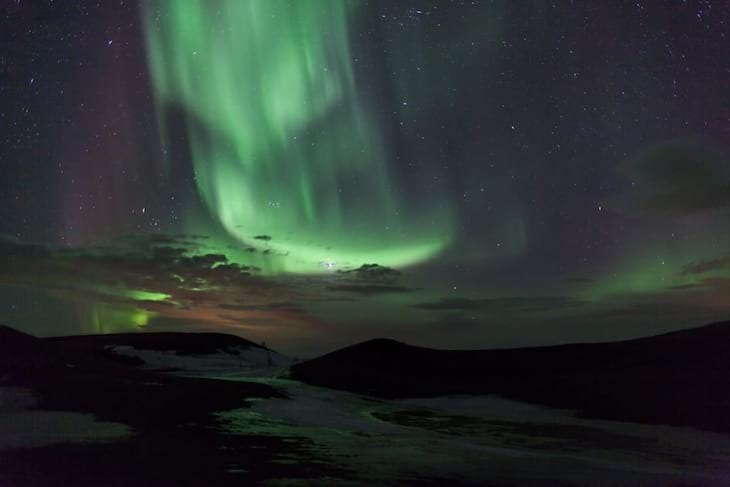 Iceland holds an excellent record for frequent sightings of the Northern Lights. Iceland also offers some of the best conditions for seeing stars, as the air is pure and the light pollution is minimal. Travel away from the bright lights of the city, out into the countryside to hunt for the Northern Lights. You will be joined by an experienced northern lights guide but an audio guide offered in 10 languages will also be at your disposal. Together with your driver and of course a little bit of luck you will find an amazing spot to view the Aurora borealis. On this tour you will also enjoy some stargazing courtesy of a pair of astronomical binoculars. The tour not only sets out to find the legendary Northern Lights, we also use the opportunity to pinpoint some of the stars & constellations in the sky. The guide brings along astronomical binoculars for you to try out and will assist you in finding the most known constellations and stars. We went on a northern lights tour and it was amazing, first night we got there and we saw beautiful auroras over Reykjavik, then our tour guide took us to chase them, so friendly and funny, would definitely recommend. Great job finding a break in the clouds for a nice pink and green dancing light show. Enjoyed it! !